An amended version of crossbench MP Kerryn Phelps’ medical evacuation legislation will this morning head to the Senate, after negotiations between Labor and the crossbench delivered the federal government its first substantive loss in the House of Representatives since 1929. As The Guardian reports, the Coalition failed to convince the house to reject the legislation on the constitutional grounds that “money bills” must originate from the Senate, as Labor created fresh amendments dictating a proposed medical supervisory board not be remunerated. Labor had also successfully negotiated with the crossbench to expand the Home Affairs minister’s response timeframe and discretion over detainees with serious criminal records. But as a government leak to The Daily Telegraph ($) regarding four people with suspected criminal backgrounds demonstrates, this has not been enough to satisfy Coalition concerns. 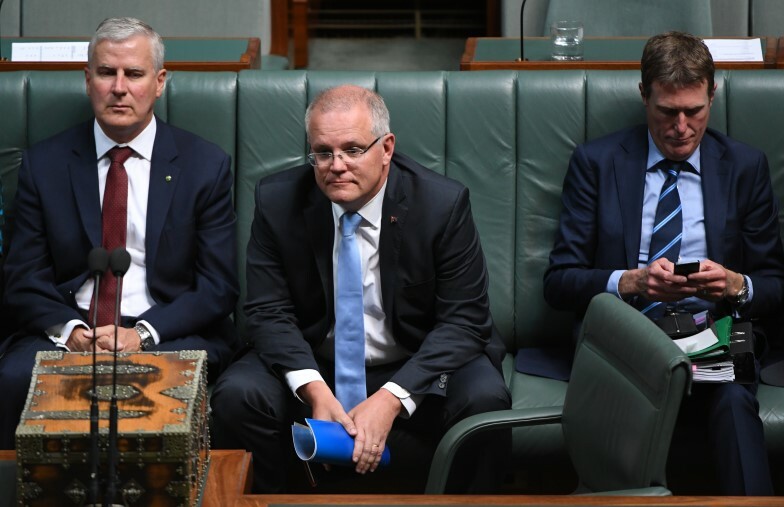 While medivac legislation dominated the first day of federal parliament, both Labor and the Coalition are set for fights over citizenship, encryption and financial legislation in an increasingly tight start to the year. The Sydney Morning Herald reports that Labor will oppose the Coalition’s latest anti-terror legislation over concerns about giving the Home Affairs minister powers to strip citizenship. According to The Guardian, Labor will also push for retrospective changes to the anti-encryption laws it helped pass in December. Meanwhile, The Australian ($) reports that the Coalition may have earned a temporary reprieve with independent MP Bob Katter rejecting ALP plans for extended sitting dates to deal with the banking royal commission’s recommendations. CRIKEY! WE’RE IN THE NEWS! Crikey, for a change of pace, found itself in the news cycle this week after announcing plans for a mass editorial expansion. If you missed it, Crikey has teamed up with two of our biggest investors, legacy media icons John B Fairfax and Cameron O’Reilly, to launch an “inquiry journalism” project set to assemble roughly a dozen full-time reporters for an April launch. Fairfax has since been busy chatting with The Australian ($), The Sydney Morning Herald, ABC’s Breakfast Sydney (skip to the 2:21:05 mark) and 7.30 (alongside Private Media chairman and editor-in-chief Eric Beecher) on what we hope will become an invaluable addition to Australia’s media scene. I will remind the House that the English fought a civil war over this matter. The Defence Minister suggests a revolution be fought over the government’s historic loss in the House. I mean, if it’s on it’s on. Events for Minerals Week will be held over two days, with Scott Morrison expected to deliver an address tonight. National Rural Health Alliance will hold a rural health forum to feature Health Minister Greg Hunt, Aged Care and Indigenous Health Minister Ken Wyatt, Opposition spokeswoman Catherine King and Greens leader Richard Di Natale advising their party’s position on a range of rural health issues. King will later address the National Press Club. A Senate inquiry is expected to hand down a report into the then-Turnbull government’s $444m to the Great Barrier Reef Foundation. The High Court will deliver judgement on Minister for Immigration & Border Protection (MIBP) & Anor v SZMTA & Anor; CQZ15 v MIBP & Anor; BEG15 v MIBP & Anor. ACTU Secretary Sally McManus will launch her new book On Fairness at the Workers Bar pop-up. The Transport Workers Union will hold a road transport summit to establish new policies on safety and fairness. Michaelia Cash’s former chief of staff Ben Davies is expected to appear in the Federal Court case into the lawfulness of AFP raids on two Australian Workers’ Union offices. The Victorian Auditor-General’s Office will release reports into two issues: professional learning for school teachers; and access to mental health services. Crime Stoppers Victoria will launch its Dob In A Dealer campaign in the Melbourne City region, a nation-wide program funded by the federal government aimed at stopping Australia’s supply chain of illicit drugs. Shell Australia chairwoman Zoe Yujnovich will address the Melbourne Mining Club. Disability service provider The Australian Foundation for Disability (Afford) will announce a partnership with AFL’s Hawthorn Football Club. A launch event will be held for Mind Medicine Australia (MMA), a new charity focusing on the development of psychedelic medicines to help treat mental illness. Voices Of Warringah will host panel event “Uluru Statement from the Heart: Voice, Treaty and Truth” with Australia’s first Indigenous silk Tony McAvoy, Uphold & Recognise board member Sean Gordon, and lawyer Teela Reid. Day one of the 2019 NSW Seniors Festival, to run until February 24. Lord Mayor Graham Quirk will host a Creative Industry’s Business Forum with keynote speeches from Brisbane Festival CEO Charlie Cush and Cluster Arts’ Executive Director Deb Wilks. Hearings will begin for parliamentary inquiries into short‐stay accommodation and, separately, the Corruption and Crime Commission. Day one of the two-day North Australia Savanna Fire Forum, run by the Indigenous Carbon Industry Network. Events will be held across the country to mark the anniversary of then-prime minister Kevin Rudd’s apology to the Stolen Generations. Grandmothers Against Removals, Stolen Generation survivors and Aboriginal elders will also march on NSW parliament call for a repeal of new laws facilitating forced adoptions that passed in November 2018. So many Royal Commissions, so many untruthful politicians. Worse, such is the maniacal behaviour exhibited by Scott Morrison, Peter Dutton and all the members of the Liberal Party over the loss of the Medical Evacuation Legislation bill, I, for one, would like a Royal Commission on the sanity of politicians. What a pleasure it would be to know the truth of an issue instead of thinking ‘Well Peter Dutton says xyz so abc is the truth of the matter.